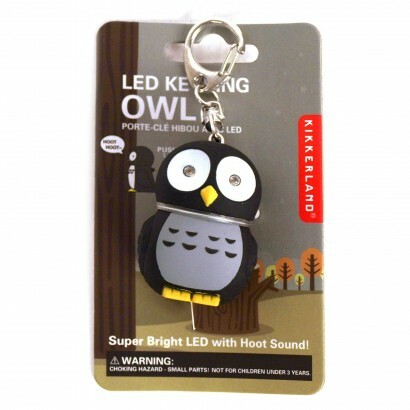 Light your way with a twit twoo, with this cute little owl LED keyring! Pop him on your keys and his eyes will light up with superbright blue LEDs to brighten up even the darkest of keyholes guiding you at night. With his adorable looks and handy function, this owl keylight is ideal for keys and also bags and accessories adding character and a bright blue glow!